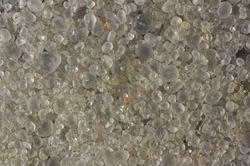 Our product range includes a wide range of quartz dust, quartz powder, quartz sand and snow white quartz. We are a very well recognized name of the market for manufacturing a wide range of Quartz Dust to our highly valued customers. Our products are famous for their quality and purity. These are broadly used in various sectors. Our products are procurable at market feasible prices. We feel proud to introduce ourselves as one of the prominent organizations, engaged in offering superior quality Quartz Powder. 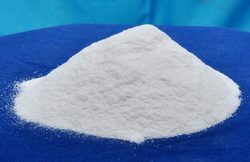 The offered powder is used for fiber glass, glass floats, insulator, sanitary ware, refractory, paint, television picture tube, semi conductors, etc. This powder is processed using excellent quality quartz lumps with the help of latest technology. 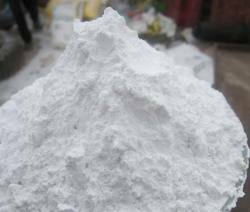 We provide this powder in the form of snow white, milky white, super semi and semi white. Quartz powder is being used in foundry, glass, ceramic, semi conductors, paint etc industry. we are producing high grade material having sio2 upto 99. 999% in any size upto 500 mesh. we are the larget producer of the same in the world. Quartz Sand is the most common mineral which alone forms by SiO2 in the nature, which including two kinds of quartz, one is trigonal crystal low temperature quartz (a quartz) and hexad crystal high temperature quartz (b quartz). Its assumes the shapes of rhombohedron, hexad direction columniation, double tripartite cone, the tripartite rhombic shape; which color is achromaticity, ivory-white, multi colors if mixed in the impurity not cleaves of mixed in the impurity, Not cleaves, has the conchoidal fracture, the oily luster, hardness 7, density 2.65 g/cm3. Its crystal common has solid, liquid and gas enwrap. Ingredient: SiO2 AI2O3 Fe2O3 CaONa2O. Content: 99.6% 200 ppm, 50 ppm, 30 ppm, 30 ppm. Main use: Quartz sand is important raw materials of industrial mineral, used extensively in such as glass, casting, pottery and refractory material, metallurgy, architecture, chemical industry, Plastics, rubber, abradant material and so on. Glass: Plate glass, float glass, glass products (Glass tube, glass bottle, glass pot) optical glass, glass fibre, glass instrument, conductive glass, glass cloth and the special glass of defending radial, etc. the main pottery porcelain and refractory fire material; Embryo material and frit of the porcelain, the cellar stove uses the raw materials such as high silica brick, ordinary silica brick and carborundum. Chemical industry: Raw materials of silicon compound and water glass, etc, the filler in the sulfuric acid tower, amorphism silicon dioxide and tiny powder. Machinery: The main raw materials of cast molding sand, grind materials (gush out the sand grind the paper, abrasive paper, emery cloth etc). Electron: Metal silicon of high strength, use the optic fibre in communication etc. Rubber, plastics (can improve the wearability). Coating: Filling (but improvement coating is weatherable). Owing to our rich experience in this domain, we are engaged in offering high grade Snow White Quartz. It is made up of a continuous framework of SiO4 silicon oxygen tetrahedral, with each oxygen being shared between two tetrahedral, giving an overall formula SiO2. Commonly used in the making of jewellery and hard stone carvings, the offered quartz is checked on various quality parameters.